Star Tribune columnist D.J. Tice offered predictable and flawed push back against needed truth telling at Fort Snelling. Tice’s opinion piece — Fort Snelling: New Vision, Old Wounds — focuses on plans to renovate and reinterpret the Fort, plans which would give a prominent place to acts of injustice and cruelty that were part of Minnesota’s founding and whose legacy continues today. Plans would bring forward stories about the brutal concentration camp below the Fort that held Dakota women and children following the Dakota War of 1862, a camp where hundreds died. It would talk about the Dred Scott case and the fact that Scott was held at Fort Snelling. This new narrative would challenge the political correctness of a prior age. Tice uses several common arguments to push back against such truth telling. The Plan Needs More Historical “Balance”: Tice seems to argue that it’s okay to add some stories of past injustices, but apparently we shouldn’t overdo it. History needs to be balanced. The Plan Victimizes Veterans: Tice cites retired National Guard Gen. Richard C. Nash, raising concerns that the fort’s military history will be pushed aside and replaced with more painful stories. This “zero-sum” thinking raises the fear that adding to the historical narrative unfairly diminishes the Fort and veterans’ stories. One might wish for an approach to history in which the very purpose is to try — not so much to condemn or to justify — but to understand the passions and motives of all peoples of the past. Yet maybe a truly balanced view of history has always been too much to expect. It is, though, what Minnesota should strive for. The new censorious spirit [to remove Confederate statues] represents a kind of abrogation of the cultural “treaty” by which America (at least, white America) healed deep Civil War wounds. That reconciliation was at its best in concentrating America’s national memory on the bravery and self-sacrifice of both sides in the war — and at its worst in contributing to prolonging racial injustice. The latter-day score-settling over slavery reached Minnesota in the high-profile controversy over renaming the former Lake Calhoun with the Dakota Indian name Bde Maka Ska. Comment: I am confused about whether Tice is defending these Confederate statues or not; his use of broken treaty analogy in this context seems bizarre. Anyway, it’s a no-brainer to take down the Confederate statues and stop honoring slavery’s defenders. Tice’s statement that restoring the name Bde Maka Ska is some kind of “score settling” for slavery is ill informed. “Score settling” is a pejorative term, a rhetorical device that frames the Bde Maka Ska debate as some sort of “Hatfields vs. McCoys” feud, an historic grudge match fought by obstinate people. But some critics fear that it seems the way the various stories are going to be told in the new vision of Fort Snelling could portray Minnesota’s history as little more than a simplistic tale of villainous whites and victimized minorities. Comment: Tice uses an old journalistic device to bolster his opinion by attributing it to others. He uses favorite phrases like the proverbial “some people say…” and “some people fear….” These criticism seems to be in line with Tice’s own thinking. 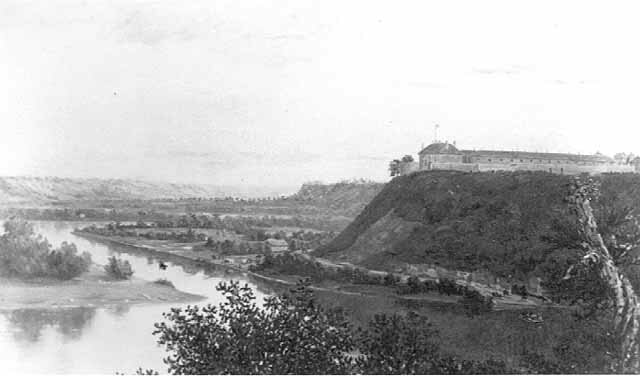 Lastly, Tice says that efforts to tell a fuller history at Fort Snelling will be reduced to a “simplistic tale of villainous white and victimized minorities.” This rhetorical flourish is an attempt to undermine change by dismissing it as too “simplistic.” Tice’s words are divisive, framing the Minnesota Historical Society’s goal of expanding the historical narrative as an effort to promote white shame and guilt. Here’s the problem: What if the truth is really ugly? What if there really are some villains? Should we not tell the truth because it might be hard to hear? How do white people, who are heirs to this legacy, not just shut down when they hear these stories but respond in a healing way? That’s a big challenge, and ignoring or sanitizing history is no solution. Tice and Nash seem worried that telling the Dakota stories will somehow push the Fort’s military history aside, from the Civil War to World War II. However, they make no mention — and show no concern — about how long the Fort’s narrative has focused solely on military history to the exclusion of other stories, such as the Dakota Concentration Camp and Dred Scott. The argument that military history is the victim here paints those who wish the tell a broader truth as somehow unpatriotic, or anti-veteran. As Dan Rather says, “It’s important not confuse patriotism with nationalism.” The most patriotic thing the Minnesota Historical Society and this state can do is to confront these painful parts of our history, tell the truth in unflinching ways, and work to heal from our racism. Thanks for another wonderful bit of truthtelling! I am beginning to reflect on what cultuvating “white resilience” looks like when there is a call to tell a fuller history that reveals a larger context. Do let us know who to call, visit, or write in order to encourage the ongoing work at Bdote/Fort Snelling.